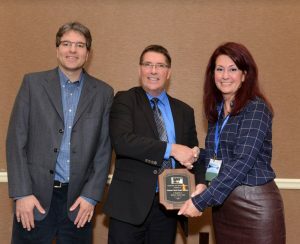 Nov.2015 – Terry Rees (centre), along with Andrew Paterson of MOECC and Julie Chambers, Oklahoma Water Resources Board (President of NALMS). Image by Todd Tietjen, courtesy NALMS. 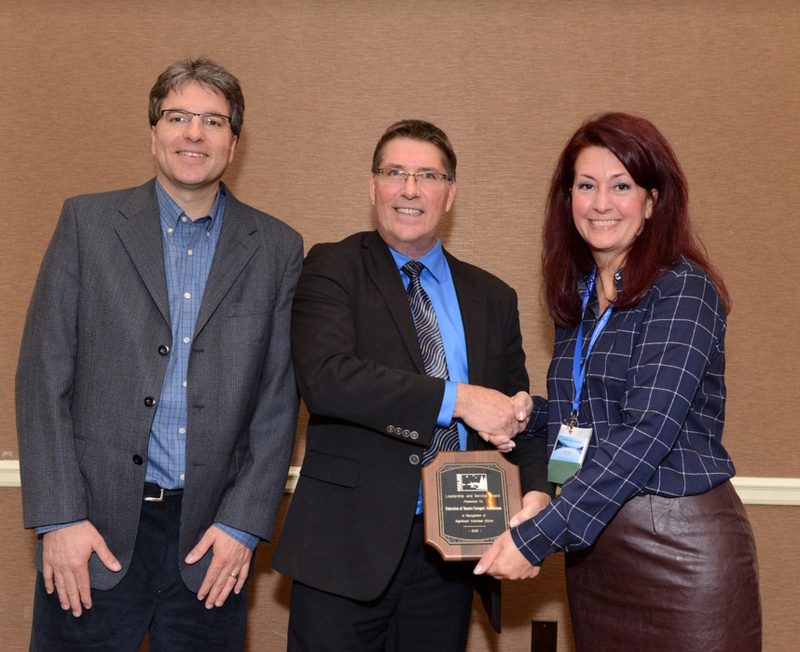 November 2015 – FOCA was presented with the “Leadership and Service – Education and Outreach” Award from the North American Lake Management Society (NALMS), at the 35th annual NALMS symposium in Saratoga Springs, NY. The award is given to individuals or groups for the design, facilitation or performance of exceptional education and outreach activity that furthers the understanding of and appreciation for lake management science. Selection criteria include innovation, creativity, impact, and dedication. To FOCA’s many Association volunteers, lake stewards, and to the Board and staff of FOCA – congratulations, all, on this award! FOCA is proud to be a long-standing member of NALMS. The North American Lake Management Society (NALMS) was founded in 1980. The purpose of the Society is to forge partnerships among citizens, scientists, and professionals to foster the management and protection of lakes and reservoirs for today and tomorrow. The primary function is educational, but on a variety of levels: scientists, academics, professional lake managers, politicians, legislators, policy makers, regulators, volunteer monitors, lake property owners, lake users, and anyone interested in lakes. Find out more about NALMS by clicking here. Networking at 2015 NALMS symposium. Image by Todd Tietjen, courtesy NALMS. 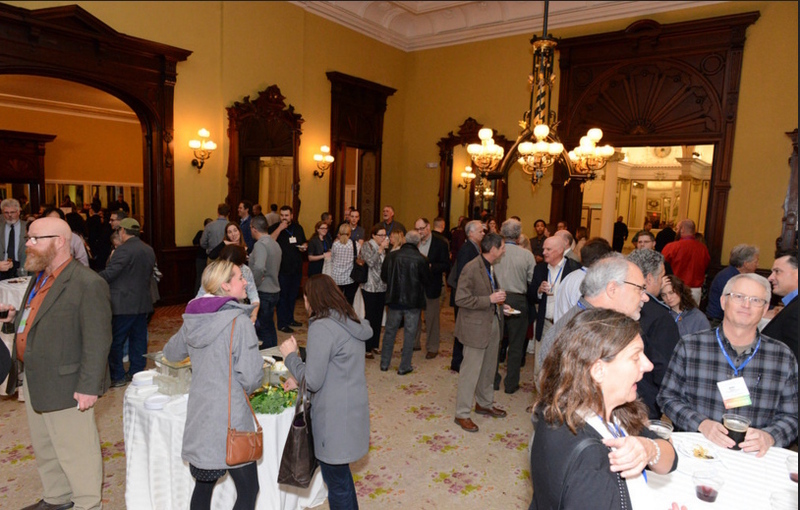 The 2015 event was the 35th annual International Symposium, titled North American Lakes: Embracing Their History, Ensuring Their Future. For more about the Symposium, click here.